I totally blocked-out the T's turn-it-sideways "refresh"
Last edited by 2b2; 05-15-2018 at 09:31 PM. Here's a fun one to watch which should be heating up big time. 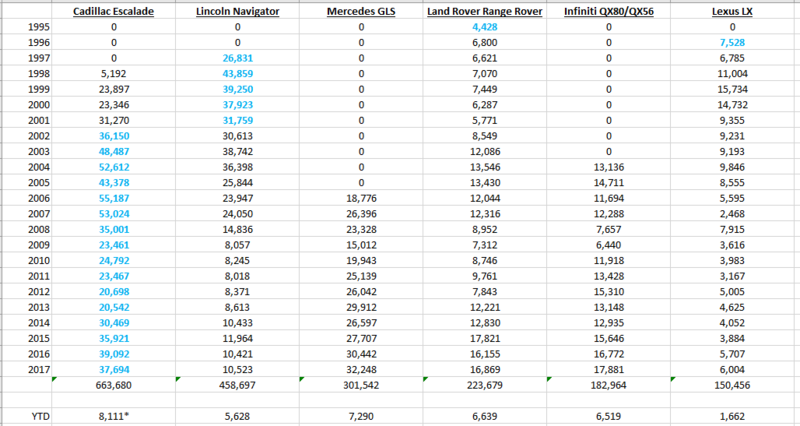 Large luxury SUV sales. GLS is really lighting things up in that segment. * is for Escalade since GM doesn't report monthly anymore.